Speedline AP-25 automatic stencil printer with machine vision fiducial alignment, automatic solder replenishment and auto stencil wipe. If you are building boards by hand or paying an assembly house big setup costs and outrageous prices and then suffering long delivery times then you really need your own pick and place machine. Or if you already own a low cost light duty machine and are tired of adjusting parts by hand, hand placing the parts it won’t handle or just fed up trying to make it work then you need a real machine not a toy. If you buy the right machine it will make high quality assemblies saving you time and making money. You can take control of your manufacturing process and build boards when you need them instead of building large batches to get a better price. While there are several low cost, light duty pick and place machines available they don’t work very well. Never the less first time buyers constrained by a modest budget are lured by the low price without a clear understanding of what they are getting or what they really need. Perhaps you are willing to compromise performance, accuracy, reliability and versatility to get a low price but you don’t have to. 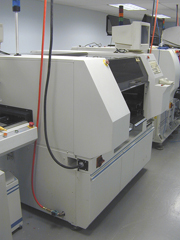 Universal Instruments headquartered in Binghamton NY is the largest domestic manufacturer of pick and place machines. They are famous for their versatile model GSM pick and place machine. Produced in greater numbers than any other it is the most successful machine of all time. When other machines were specialized to place a narrow range of parts the GSM would place almost anything. Parts as small as 0201’s (.010 x .020 inches) or connectors beyond 5 inches long are all within range. Every part goes down with flawless precision. The GSM is designed to perform unattended in continuous high volume production it is not to be compared with limited light duty machines that struggle to do anything well. 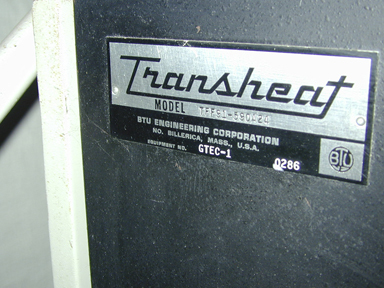 This machine originally sold in systems costing ½ million dollars or more. Customers expected a lot for that kind of investment and they got it. Day after day this machine would deliver a continuous stream of flawlessly assembled electronics. Versatile, reliable and precise the GSM is an ideal machine for general purpose use. A novice buying any pick and place machine takes on a great risk. 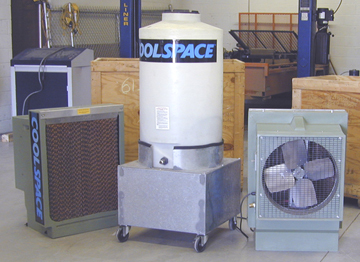 A dusty machine sitting in a warehouse could be missing parts or have problems that cost a fortune to repair. Many machines are retired only when beyond economical repair so look out. If you can’t see it run you shouldn’t consider buying it. How will that machine handle your current and future requirements? How will you learn how to use that machine? How long will that take? Any machine worth having will have software that is feature rich and capable but not simple, obvious or self explanatory. Learning it alone by reading the manuals while not impossible is certainly impractical. Don’t overlook the challenge and true cost of mastering the software. I am offering you the opportunity I wish I had when I decided to get into pick and place machines. The machine we offer for sale is not under a tarp or in a warehouse. It is fully functional in our working production line linked by conveyor to similar machines. It won’t be moved until you see it work and buy it. But before we move it we will provide training for your personnel to setup your first board. So when you install the machine in your facility it will be ready to run ! Unlike other eBay machines you are buying a risk free fully functional package. A second machine is part of the package. While the first machine is fully functional in beautiful condition, the second is ugly but full of valuable spare parts. So what’s different about this machine? The sophistication of design, the quality of engineering, versatility and the attention to detail distinguish this machine among the low cost light duty machines built off shore or in someone’s garage. This machine’s software developed to serve diverse professional needs is highly refined and vastly superior to light duty machines. The machine is built on a strong rigid frame. It axis’s are driven by closed loop servo motors with high precision ball lead screws. The precision of each axis is guaranteed by 1 micron resolution Heidenhain linear encoders. The value of precision is that you can place parts directly from CAD data first time – every time. But now precision is more important than ever because the new lead free solder alloys don’t self center misplaced parts like the old lead solder did. Low yields and widespread re-work costs are the reward for poor accuracy. The head on this machine is the most versatile and highest precision multi-spindle that Universal offers. It has 4 spindles and will pick up 4 parts at once to save time. Each trip to the board will deliver 4 parts instead of just one. Each spindle supports a wide variety of nozzles to handle virtually any type of part. Of course all motion on the head is closed loop servo controlled. Even with a great head and precise positioning system you still need an excellent machine vision system to accurately place parts. Vision processing software is tremendously challenging and takes years to perfect so this is where lesser machines always fall short. Without great vision nothing works very well. This machine has two upward looking cameras with sophisticated lighting systems designed specifically to illuminate parts. Two cameras minimize the travel time for any component, and allow for two different magnification levels if desired. All components go over the camera to be measured. Parts as large as 1.3 inches can be imaged in one frame, but the machine is not limited to just one frame, and can utilize multiple images for large parts. Parts as small as 0402 are handled by the currently installed cameras but 0201 parts require a higher resolution camera. I have hi-res cameras if you need one. The versatility of the vision system really determines the capability of the machine. This vision system is very versatile and captures component images while in motion to save time. Not only does it recognize and analyze every imaginable standard part type, it has exotic pattern recognition algorithms so the user can program it for anything else. Then in the blink of an eye it provides an exact linear and rotational correction to place the part perfectly every time. It can even find flaws like bent leads on a QFP package or missing solder balls on a BGA. You don’t want to trouble shoot or throw out a complex board just because of a bent pin or one bad solder connection. It’s the versatility of the vision that lets you place headers, DB connectors, USB connectors, SD card sockets and countless others in addition to all the usual types. 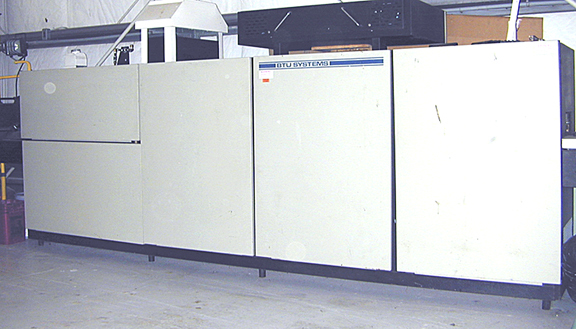 Remember this machine was designed to run in an automated production line producing high quality assemblies around the clock. Hand adjusted parts would be out of the question and even a 99.9% success rate would be woefully inadequate. While most of your placements can be achieved with about 4 nozzle types there are over 700 different nozzle types available. Most pickup with vacuum but some (called grippers) actually grip the parts with little fingers to handle parts without flat surfaces. The nozzle interface is easy to replicate so you even make your own custom nozzles. This machine is rated at 5000 components per hour and will easily achieve that. It’s based on simultaneously picking 4 components and placing them on a 16” x 18” board. With a smaller board you could do even better. Even if you average only 3000 cph you can place ½ million parts per week. That easily meets the needs of many manufacturers. Unlike low end machines you can increase throughput and expand feeder capacity by adding additional machines joined by conveyor or move up to versions of the same machine that use the same feeders and same software with dual beams and heads for 10,000 cph or seven spindle high speed heads for 20,000 cph. The machine’s versatility in feeders is unmatched. 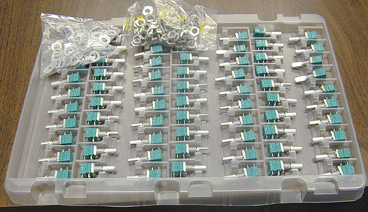 It can handle 64 feeders that may be organized in quick change modules of 16. There are feeders for almost every imaginable part. Tape feeders from 8mm to 120mm are available as well as tube and tray solutions. Feeders are widely available on the used market and surprisingly inexpensive. We need room to expand our GSM production line and have one machine for sale. Our GSM machines do an amazing job for us, they’ll do the same for you. 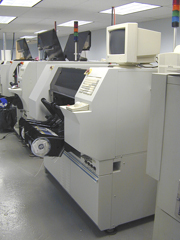 The GSM pick and place machine is fully specified by a 96 page document. Contact me if you’d like a copy. A few of the high points follow. Great for garage, barn, hanger etc.